Maths is just one of the subjects in life that you either get or you don’t and then feel like all you are doing is playing catch up or will never understand it. However, you should not feel like that. Everything can be learnt or re-learnt, the timing just has to be right. So, in this Mathematics and Statistics Month, we thought we would give some tips or info on just how you can overcome being anxious about learning about Maths. What is Mathematics and Statistics month? Since 1986 when this month started as Mathematics Awareness Week, becoming a full month in 1999 and incorporating Statistics from 2017, there has been an ever-increasing appreciation and awareness of how diversified our use of Maths is across most of what we do in our lives. So, now is the time for you to gain transferable skills to help you, as a learner, feel more confident and in turn work effectively in your chosen area of employment. We often think that Maths is just for when we are at school, but anyone can learn or improve their understanding of Maths and its processes. Perhaps you have missed the opportunity at school to pass your Maths course, or perhaps you just wish you were more confident in understanding Maths and how it can work in your daily life or working environment. We all use Maths to varying degrees and there is always the opportunity to improve our understanding and further increase our knowledge and skill levels. Why does Maths make you so Anxious? 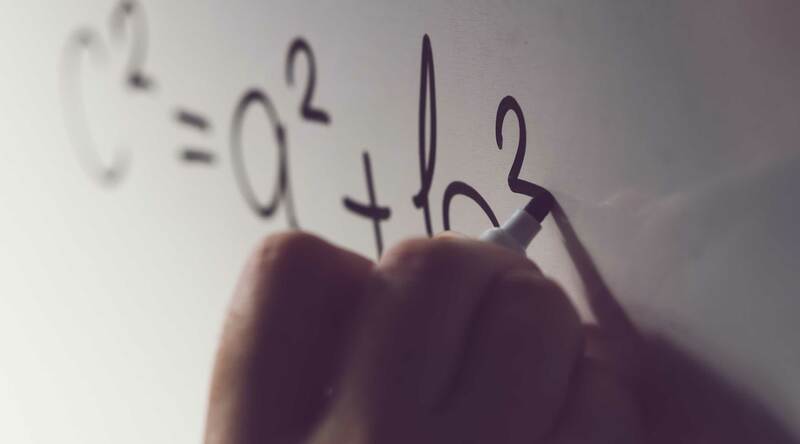 For some people the mere mention of the word ‘Maths’ brings on the feelings of stress and anxiety and it is not uncommon for you to feel that way. But what this is doing is holding you back from learning something which can broaden your career prospects and just help you feel empowered. Always remember that you can overcome any of the above once you know what has been holding you back from learning something new. Take some time out to think about the reason you have been holding back and what makes you the most anxious and then look forward to locating the best course available to you to get you started on the Learning Maths route. Maths – Unknown or Challenge? If you have a fear of Maths is generally either because it is an unknown or because it just feels challenging. So, what does Maths mean to you? This is also a question to ask yourself. There are many elements to Maths, more than just the standard maths and times tables everyone had to learn at school, but the rest can feel like a complete unknown – fractions, algebra and more… What does it all mean? This can seem daunting and set the anxiety feelings running. But learning this can overcome this. Challenged by the thought of Maths? The best thing to do is meet the challenge. Think about, as above, what has made you the most anxious when it comes to Maths and meet that challenge head on. By sitting back and wondering what could have been, you will always have the battle to win when it comes to Maths. It is now time to set aside the fears and challenge yourself in Maths. What has been holding you back and what course are you going to take now? For details of our Maths and English courses, click here.